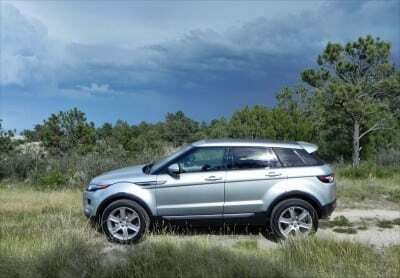 The Range Rover Evoque debuted a couple of years ago to a lot of interest from the automotive press and consumers. Its show-stopping style caught eyes and continues to do so now, though there are some tradeoffs for that great look. Outside of a technology upgrade in infotainment and some package shuffling, the 2015 Range Rover Evoque is largely the same as it was last year. There wasn’t much to improve upon, really, and this little crossover blurs the already grayed line between a sport utility vehicle and a car. It’s styling is extremely eye-catching and almost universally appealing. 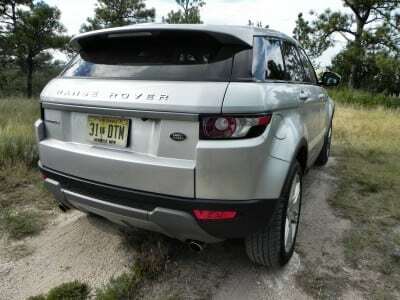 It also has more offroad capability than most in this segment, keeping to the Rover name. 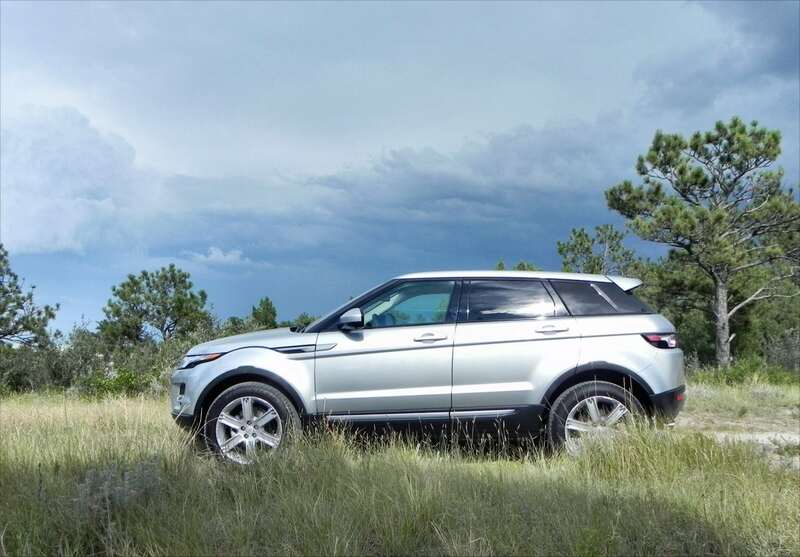 The 2015 Evoque focuses on the sport side of the sport utility equation, but is suitable for most compact luxury buyers’ needs. 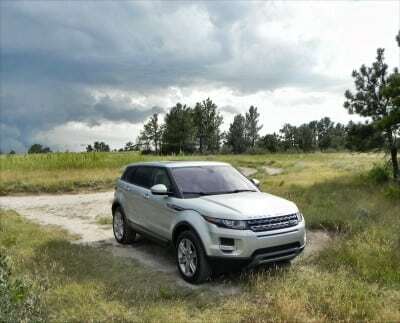 The 2015 Range Rover Evoque comes in two body styles (two-door “Coupe” and four-door) and in five main trim levels with option packages besides. Those trims begin with the Pure and move up to the Dynamic. We drove the mid-grade middle Pure Premium package. 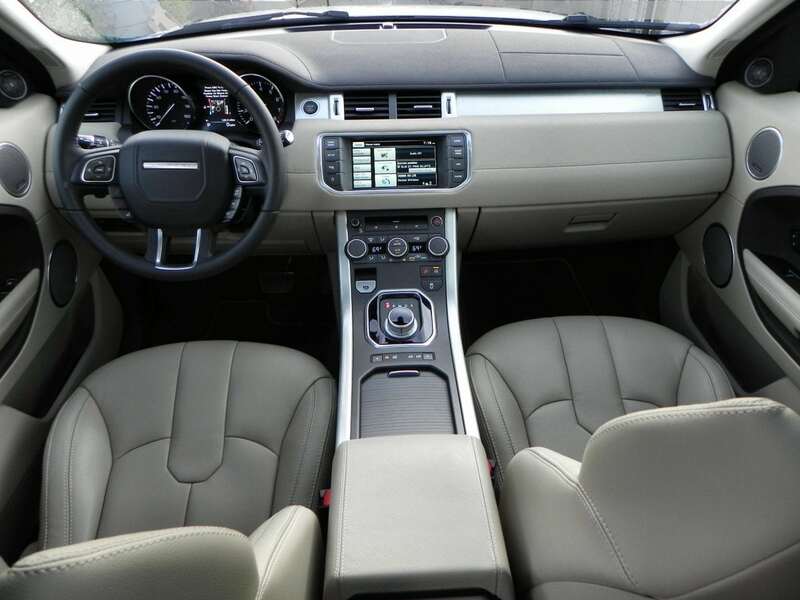 The interior of the Evoque is typical Rover excellence. Every vehicle in the Jaguar Land Rover line is very well done. 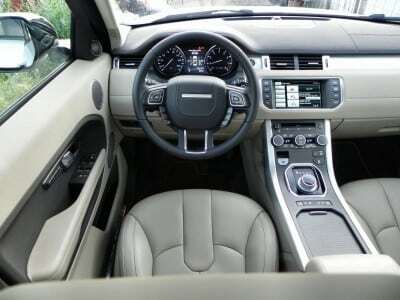 The layout is posh, suitably dynamic, and very roomy despite the Evoque’s size. Materials are all top quality and impart a feeling of understated luxury to the onlooker. 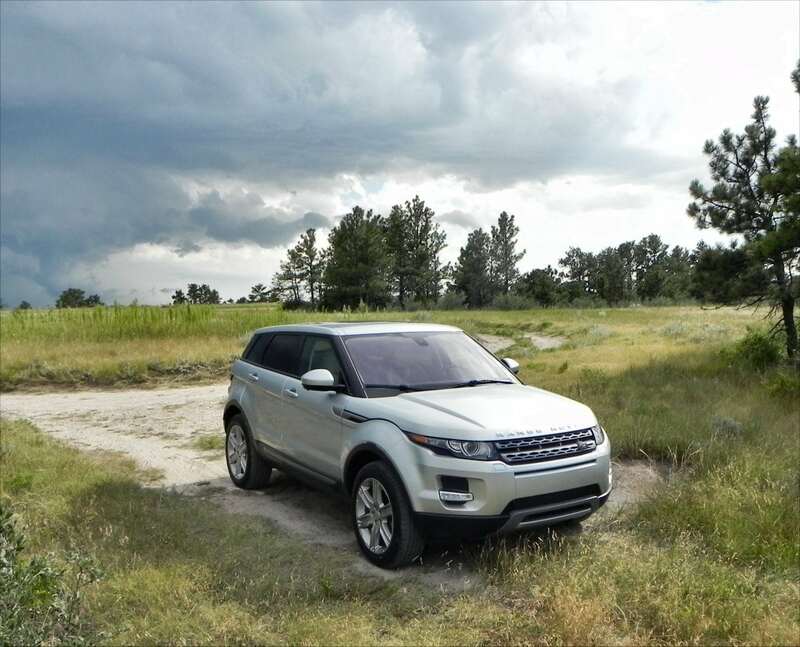 The 2015 Range Rover Evoque has very comfortable front seating with the driver’s layout being especially ergonomic in a class that is well-known for its driver-centric designs. The slightly angled center stack is a big plus. Roominess up front is great all around and the entry-egress process is notable for its wide spacing to allow ease of movement. The back seats are not so great, but still better than many in this class. Headroom is where most of the cramping happens, with the sloping roof creating a tight space for tall passengers. Legroom and hip room are very good, though, given the Evoque’s size. Kids will have no issues in this Rover’s back seats. 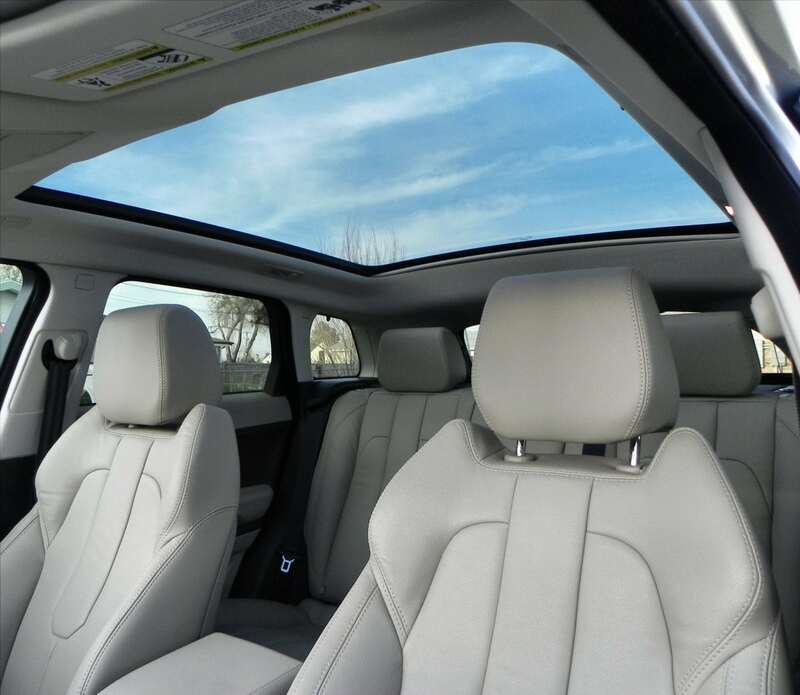 All of this roominess is accentuated by the full panoramic glass roof that some 2015 Evoque packages offer. It’s beautiful and adds a lot of space to the interior. It’s sliding sun shade is well done and surprisingly, the big glass roof doesn’t add much noise to the highway drive. The cargo area is where the biggest payment for the beautiful exterior styling and large back seats is made. Most will find the 20.3 cubic feet of cargo area (with the seats up) to be adequate, but a bit cramped on occasion. Folding the second row raises this to 51 cubic feet, which is the smallest amount of total space in the segment. 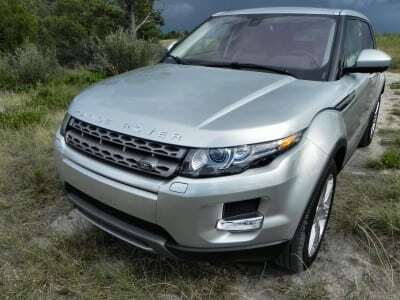 Realistically, however, most will find that this is good enough for the expected uses of the Evoque. 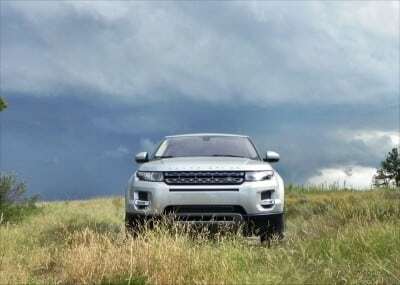 Only large purchases such as big TVs or a decade’s supply of warehouse store toilet paper will be difficult to get into the Evoque. 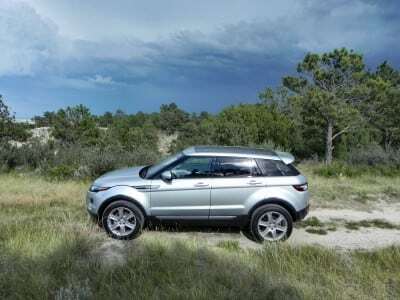 So although the cargo space is small, we feel it’s not a huge price to pay for the great styling many find so appealing about the 2015 Evoque. A 2.0-liter turbocharged four-cylinder engine powers the little Evoque with more pep than expected. 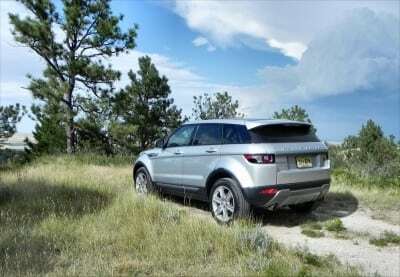 It produces 240 horsepower and 250 pound-feet of torque, that latter number translating to some fast-paced off-the-line jumps. 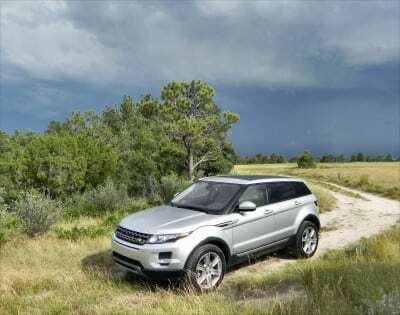 A nine-speed automatic transmission is standard and runs very smoothly in the Evoque. All-wheel drive through Land Rover’s Terrain Response System is also standard. 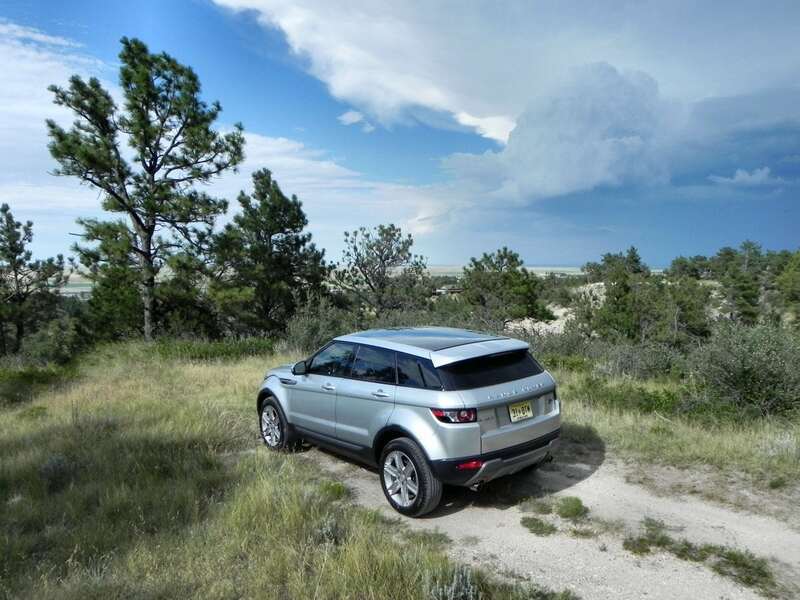 The EPA rates the 2015 Evoque at 24 mpg combined, with 21 mpg in the city and 30 mpg on the highway. 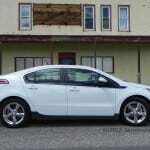 We didn’t see that in our test drive, however, with our week returning just 20 mpg combined despite being heavy on the highway usage. 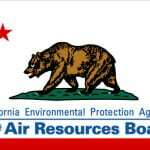 Altitude accounts for some of that, but unless the driver is very soft on the accelerator, those EPA numbers are not likely to happen. The 2015 Range Rover Evoque is very maneuverable and visibility is excellent. Add in the rearview backing camera (standard) and parking aids (also standard) in the Evoque and things get even better. Self-parking is available for both parallel and perpendicular parking, though we did not have this option on our test model. From stop lights and during in-town turns, the Evoque is very quick and agile. 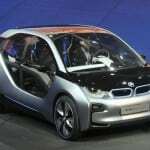 It’s an enjoyable get-about vehicle for driving around town, being designed specifically for urban use. 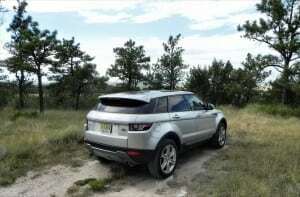 Out on the highway, the limitations of the four-cylinder engine come into play, though not in a big way. 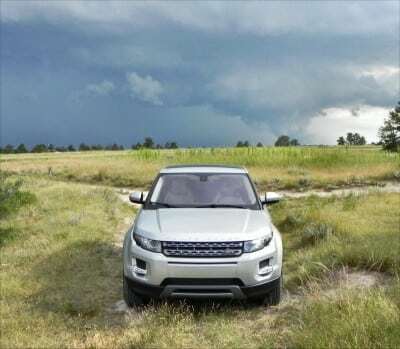 We did notice some hesitation on the pass at freeway speeds and a little slower onramp times than the initial jump from a stop might have suggested, but most drivers will enjoy piloting the Evoque on the highway. 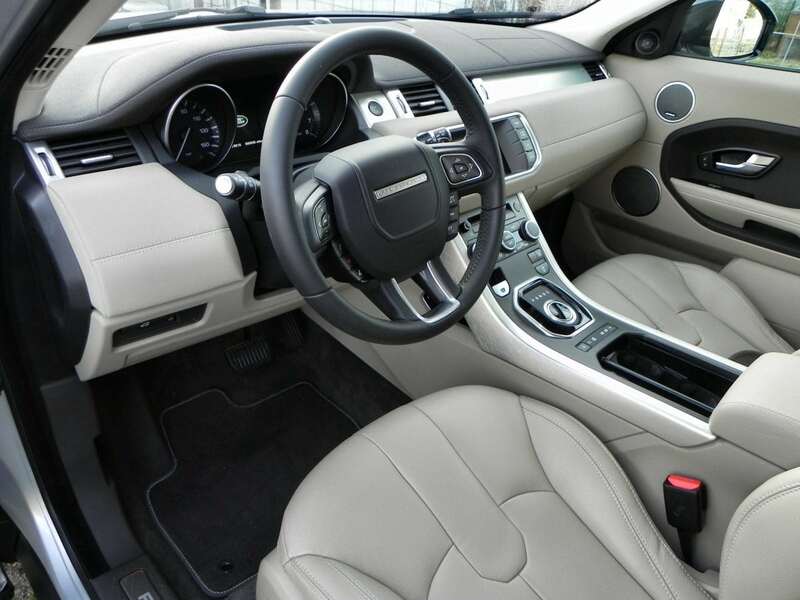 The interior is exceptionally quiet and the ride is extremely well-mannered at speed. We have no complaints about the 2015 Evoque’s highway drive. Off the pavement, the Evoque has some chops and more capability than most in this segment can claim. It’s not a forest runner or sand dune tackler, by any means, but in dirt, light mud, and so forth, the Evoque does very well for itself. 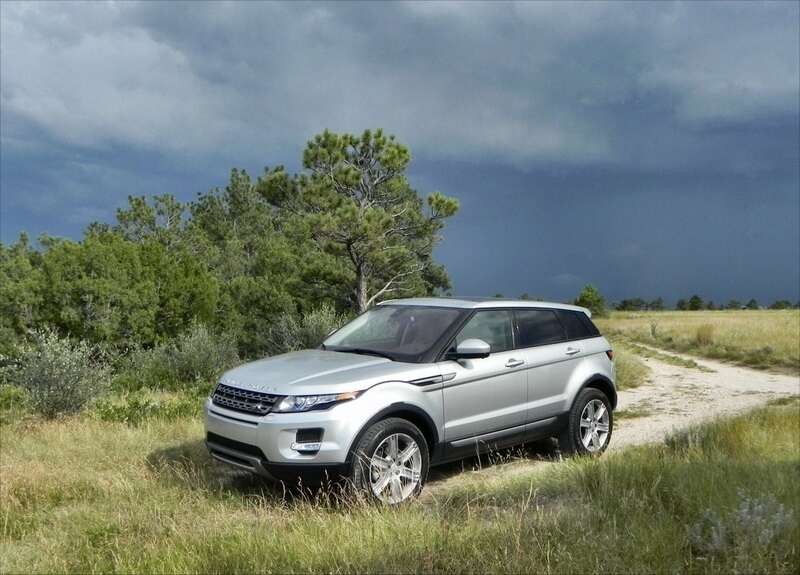 The Terrain Response System allows the driver to select the terrain type being encountered and the Evoque’s transmission adjusts to do the rest. 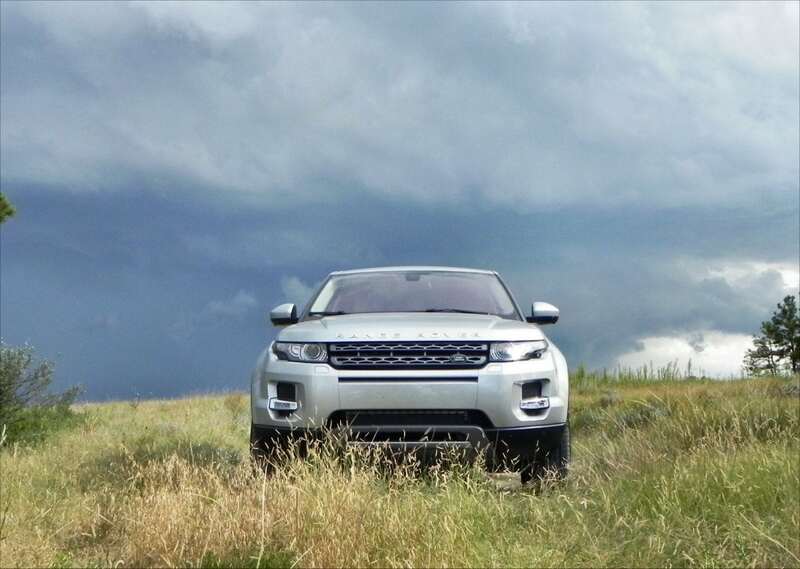 We tried some light offroading, mid-duty dirt slinging, and a few puddles during our week with the Evoque. It did well in all of those. 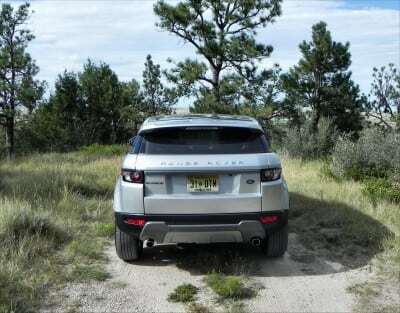 Generally, if there is ground clearance for this little Rover to get through, it will do it. There is no lack for competition in the small luxury crossover market. 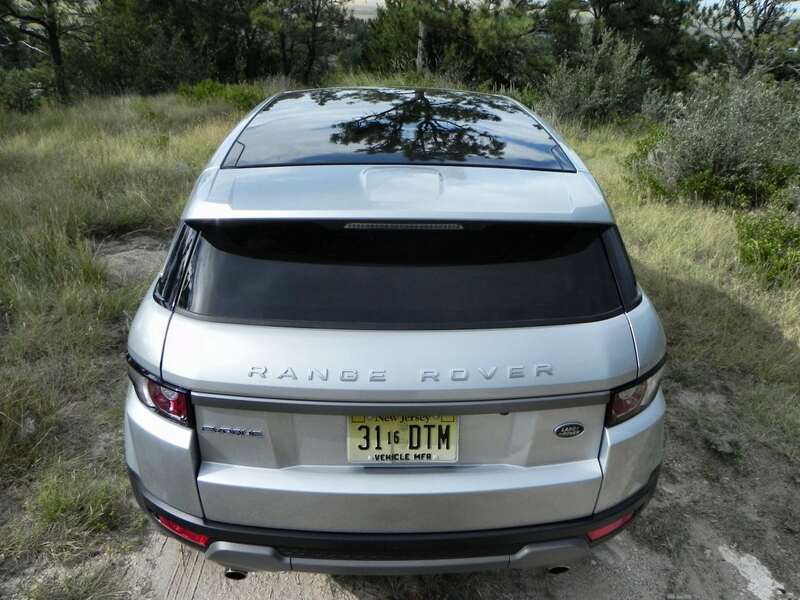 Style-wise, the closest competitor is the Audi Q5. The sportier BMW X3, slightly larger and more wagon-like X4, and the well-accoutered little Lexus NX are worth mentioning as good competitors here. The Audi Q5 is a sporty, appealing little crossover that has a lot going for it on several levels. It’s sporty, fast-paced, and beautiful. The BMW X3 is a fun drive with a lot of get-up behind its go. 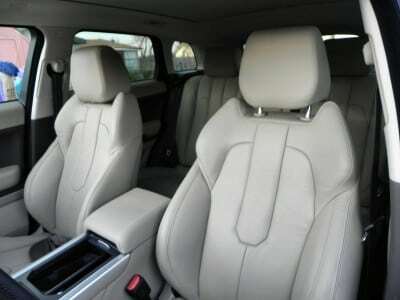 Similarly, the slightly larger X4 is also a goer and offers a more accommodating back seat. Both are unique in the class in terms of exterior appeal. 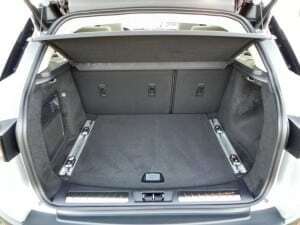 They both have more room than does the Evoque. The Lexus NX is a great little option with a lot of interior goodies at a value-oriented price point. 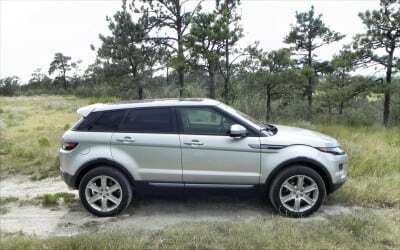 It’s a bit smaller than the Evoque, but offers similar cargo space. Great look that is universally appealing. Power output limited at higher speeds. 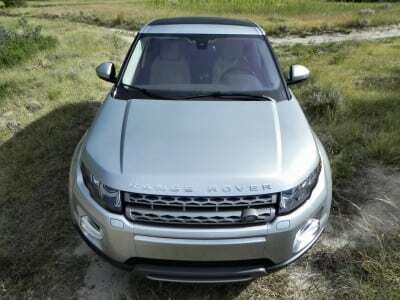 We greatly enjoyed the appealing little 2015 Range Rover Evoque and found it to be more than expected on many fronts. 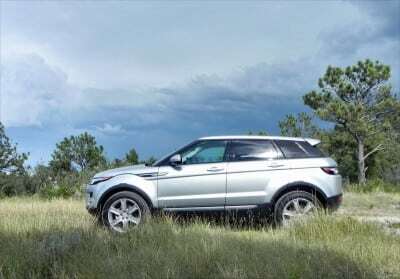 Some competitors are peppier drives and others have more interior space, but none have the uniquely universal appeal of the Evoque’s look and feel. The downsides for this little crossover are many, but not as glaring an impediment as some might believe. Overall, the 2015 Evoque is a great crossover in a busy, competitive segment. The Evoque was a manufacturer’s press loan for about a week. 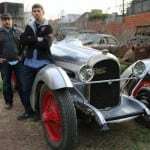 During that time, 152 miles were put on the vehicle in a heavy-highway mix of driving that included various passenger loads.